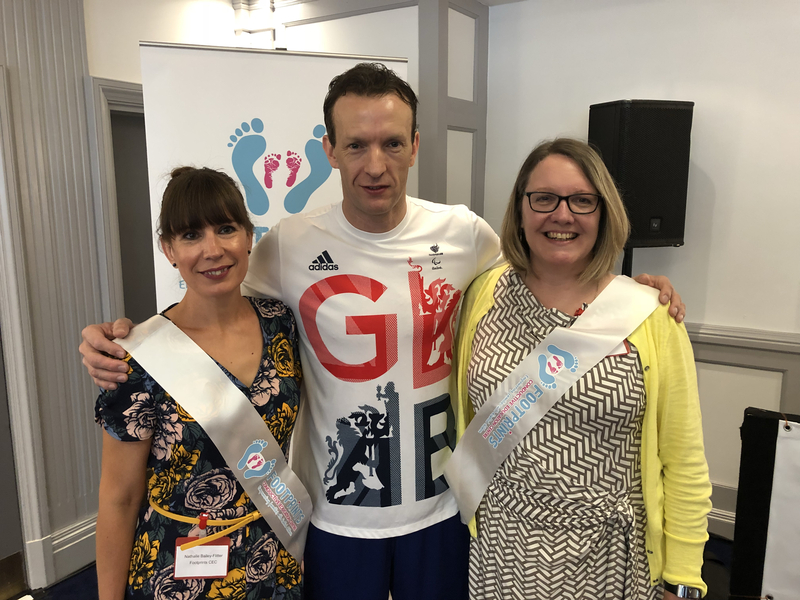 Sneinton-based charity Footprints CEC, the city’s only Conductive Education Centre, is delighted to announce world record holder and paralympian, Richard Whitehead MBE, as its newest patron. The charity provides Conductive Education for babies and children with conditions that affect movement and mobility that may be caused by damage to the brain, or genetic conditions such as Down’s Syndrome. As the only Conductive Education centre in Nottinghamshire and Derbyshire, Footprints also works closely with families to encourage lifelong learning. Nottingham-born Paralympic athlete Richard, is a world record holder and motivational speaker who was born with a congenital condition which left him as a double amputee. Currently a world record holder for times in both the full and half marathon, he has won a total of nine gold medals - competing in the Paralympics, the IPC World Championships and the IPC European Championships. After winning a gold medal in the London 2012 Olympics, Richard completed his goal of running 40 marathons in 40 days proving that persistence and determination can achieve goals. He continues, “The philosophy of Conductive Education is about achieving potential, and I’m all for that – giving children with additional needs the best start. I believe that positive things happen to positive people, and this drove me to win Gold in front of a crowd of 80,000." For more information about Footprints CEC, please visit http://www.footprintscec.org.